One of our favourite family traditions, as we prepare for Christmas, is our Advent Box. It's not packed with loads of Christmas decorations, sweets, expensive gifts & tinsel, but instead, it's filled with a variety of items for us to explore the Christmas Story together throughout December. For us, the countdown to Christmas means we're able to focus more on the real reason for the season, & exploring the items in our Advent Box really helps to do this. 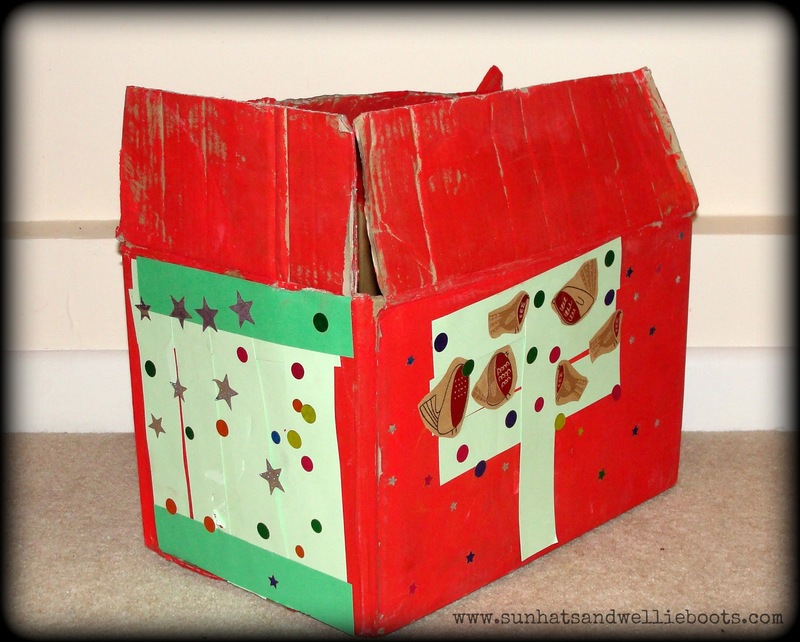 A few years ago Minnie decorated a cardboard box which was ideal to hold all our chosen items. We filled it with our Advent decorations, Nativity figures & crib scene, & packed it away ready for the beginning of December. It's always a surprise when it appears on the first day of Advent ready to be explored, & although most of the items remain the same, Minnie is always excited to rediscover each of the treasures, along with a couple of new items each year. :: Wooden crib set & figures - to interact & play with the Nativity characters & explore the Nativity story. :: Bethlehem Small World Play Scene with wooden figures (which we made last year) - again a great way to explore the story. :: A book - The First Noel by Jan Pienkowski. A beautiful book which folds out into the shape of a star & tells the story of the Nativity. It's so stunning we have it on display as a decoration throughout Advent & Christmas. 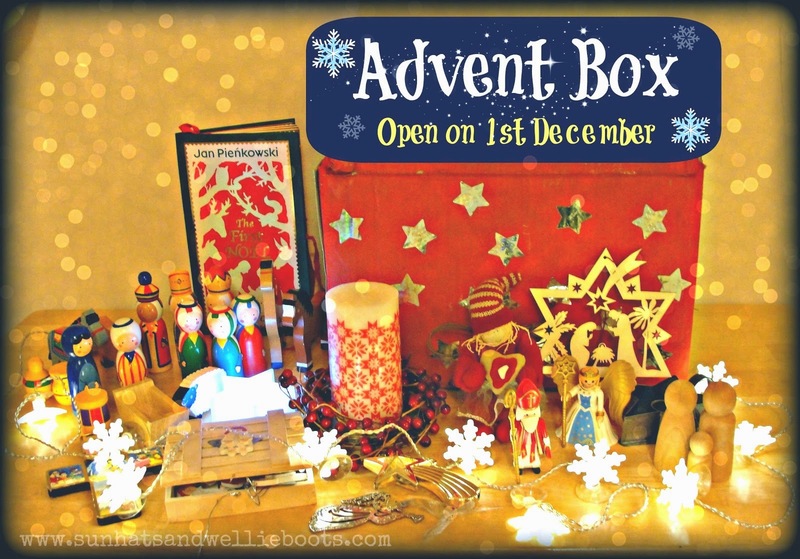 This Advent Box has been a great way to start our preparations for Christmas. In the past, it's prompted conversations & questions about the Nativity Story, & been explored by children & families who've visited our home in the runup to Christmas. But for us, the most important thing has been the reminder that amongst all the hustle & bustle of December, the planning, the school plays, shopping etc, Advent offers us a time to prepare & focus as a family on the true meaning of Christmas. Making time for this makes Christmas Day truly special.